How heavy is an original 18th-century musket? How did the French arms industry invent the modern world? Get the answers to these and more questions with the Curatorial staff of the Fort Ticonderoga Museum in this special behind-the-scenes program. 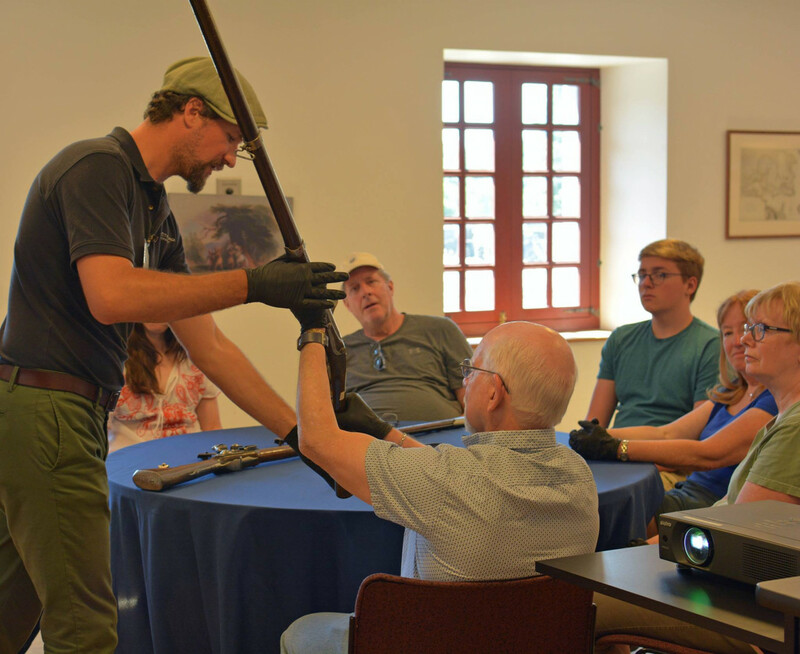 After you receive training in handling artifacts, museum experts will oversee the examination of original weapons from Fort Ticonderoga's collection and explain the systems used to produce the firearms that defended the French empire and lead to the Industrial Revolution. Learn more than just how they worked! Through a careful examination of the evidence left on original examples, this program will explore how these weapons were produced by the thousands and their lasting impact on the world! This program is limited to 6 participants and begins in the Mars Education Center Lobby. Purchase your ticket today for this exclusive chance to handle original 18th-century weapons by visiting fortticonderoga.org.